I mean, keep only the outlines. Just like the "outline" effect, but use primary color and all that. I could, but it would be messy ( in terms of code), slow, and frankly, I don't see the benefit. Sorry man! left click: Can't open the page! right click/save as: no problem! Pretty good, mind posting the code? I'm gonna tweak it some and work on a bug first. Yes! I've been waiting for an outline tool that didn't fill the background with white for a long time! To be honest' date=' My implementation is very basic. I'm quite surprised that BoltBait or MadJik didn't create something like this sooner. Ah pyro. Where would the world be without you? Probably less in flames, what? I haven't read the entire topic, but I'll post the suggestion anyway. Can you add the ability to shrink the object? How do you mean? Like, shrink the original image? 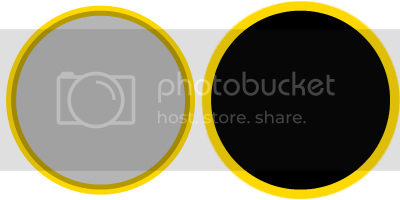 As far as shrinking the image, I think he means having the stroke on top of the source image, center-aligned on the edge of the object. Much like the Draw Filled Shape with Outline mode works, half of the outline is outside the center fill boundary, and half in inside. I'm still not sure what you mean. Can you show me? Notice how yours extends 10px out from the edge, where the Shape outline extends 5px out and 5px in from the edge. I believe the request is to allow the user to set the orientation whence the stroke is drawn, so that a 10px stroke is drawn either from the edge 10px out, centered on the edge 5px on both sides, or from the edge 10px in. Can I see the crash log? System.InvalidOperationException: BufferedGraphicsContext cannot be disposed of because a buffer operation is currently in progress. That is the crash log that is saved on my desktop. What's up with so many people only having 191mb of ram? If you look on the troubleshooting board...there are several. It's not even a multiple of 8! What gives? *thinking of which effect to remove* :? For some strange reason, 'Free Download Manager' on my notebook tells me that the zip file is corrupted. Downloaded the zip onto a memory stick from another notebook and succeeded in installing the plugin. Thanks for another useful plugin. I've had no problems as of yet so that's a pretty good sign and guessing by what you and Ash have just said I'm assuming that funky little icon character means something...? As long as the plugin was done in codelab, it is enough just sharing the source code. So everyone with codelab can put it wherever she/he wants it to be. This would be the easiest solution, I think. Whoops! It's an empty zip!